Sitting in the lunch room today, some colleagues and I casually grabbed the local paper. On the front page was a piece on Egypt talking about how the country had descended into “chaos and anarchy” and the government had told everyone to leave the country, paired of course with massive pictures of people holding knives and other weapons. Now, I work for a company that is very heavily involved in Egypt and as you can imagine, this week has been crazy dealing with people who are worried about their future travel to this country. What frustrates me, first and foremost, is the lack of facts portrayed in such articles. Yes, there is tension. Yes, there have been some violent incidents. 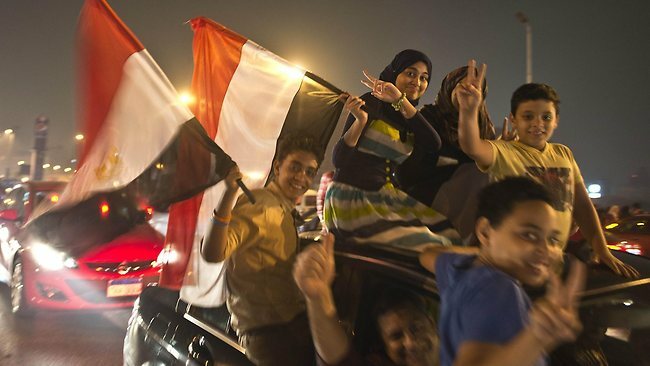 Yes, Egypt has been going through some turmoil and isn’t out of the woods just yet. But rather than jumping up and down raving like lunatics, we all need to take a step back and look at the bigger picture. Would anything that has happened in the last week or so happened if no-one wanted it to? No. You don’t overthrow an elected President just because you have nothing better to do. The articles I saw today focused on the violence yet where were all the photos of hundreds of thousands of Egyptians celebrating the change? In the corner of the page, barely visible. I do feel like the country in a way has set a worrying precedent, in that their president was elected yet the army still ousted him. That said, however, I don’t live in Egypt so it’s all very well for me to form these opinions from my sofa, but I have no idea what it’s been like to live in Cairo since the revolution (nor indeed before it). And at the end of the day my industry is not foreign affairs, it’s tourism. And tourism is an industry Egypt relies on. Since the revolution (and before this latest bout of unrest), travellers to Egypt were finding there was no better time to go. The crowds post-revolution are smaller and as such visitors were experiencing all the best Middle Eastern hospitality has to offer. The revolution, while necessary, really hurt Egypt’s economy. To have come through the other side of the revolution the way it has is a courageous effort, yet the country still faces massive problems in shortages of fuel, electricity and other basic necessities. The newly elected government certainly didn’t help and all this country wants to do is get back on its feet. After the revolution, it took about a month or so for tours to start running again. Since then there have been no tourism-related issues until now (contrary to popular belief). And I really think we will see the same again this time. Some operators have cancelled tours but most haven’t as yet, because rather than just jump on the cancellation train, we need to accurately assess the situation at ground level. It isn’t fair to all those people who have booked the trip of a lifetime to cancel their plans on a whim when it isn’t necessary. In most cases, it won’t be. I have clients leaving nearly every week from the end of the month until February and I remain just as excited for them now as I did before this latest issue. Of course, if my clients felt uncomfortable and wanted to cancel I would support their decision 100% – I just hate the idea of them missing out.